I want to save you from going through some of the mistakes and hardships I encountered that could have been avoided, if only I’d seen a counsellor sooner. I specialise in Couples Counselling for healthy, happy marriages and relationships. My mission is to help improve your relationships and get you through major life transitions. My passion is helping you to succeed in life and ‘lift’ to become the best you can be. I first saw a counsellor about 20 years ago for support during some difficult times of my own. I was at the point where I felt like I had no other option. Feeling a bit nervous I went to speak to the counsellor, not knowing that in the next hour, my life was about to change forever. Going to counselling not only changed my life, I felt like it saved my life. It saved me from repeating the same mistakes, saved me from my own negative patterns of behaviour and saved me from enduring further toxic relationships. It provided me with strategies and the resilience I needed to completely change my life. I smile now when I think back to that time and still remember that pull inside me, the voice, the drive, the passion that fires in me today. The inspiration for my popular Save My Marriage Program stems from this time of my life. I took the smallest step available to me at that time and started a six week counselling course for beginners. I was hooked and never looked back. I loved it! and I loved using the skills with my family and friends. I then sat front and center at many more professional development workshops with the Australian Psychological Society and gradually built up my knowledge and skills. The next natural step was for me to volunteer, and I attended Lifeline Central Victoria training and Suicide Risk Assessment skills training and went on to volunteer with Lifeline for several years as a Telephone Counsellor. 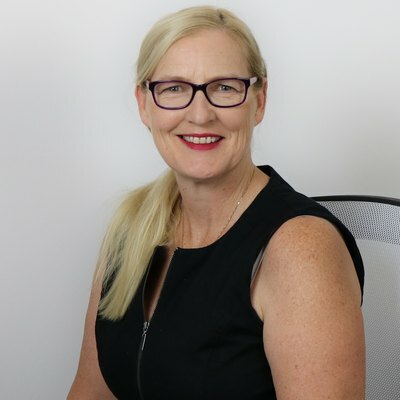 All the while, raising my two children through primary and into secondary school while running my own cleaning business in Bendigo. Eventually, and with much courage, I applied to do a University degree at LaTrobe. I couldn’t believe my eyes when the letter arrived to tell me I was successful and I would be attending University the following year! I completed my Bachelor of Social Work and broadened my understanding of the theoretical basis of my vocation from there. I was particularly drawn to Psychology and focused my studies around childhood trauma and relationships. After completing my degree, I went on to work in a women’s’ refuge and then on to Child Protection with Department of Human Services to share my knowledge and help parents in hardship. At the same time, I completed my Diploma of Counselling Psychology; implementing many strategic interventions and theories into my practice, including: emotionally focused couples therapy, positive psychology, curiosity and ignorance, cognitive behavioural therapy and many more. With a thirst that never seemed quite quenched, I went on to study the latest in Neuroscience Research; Neuroscience 101, to discover what all the buzz about mindfulness and meditation was. I used the skills on myself and now share the evidence based strategies with my clients in my work today. Mindfulness meditation gives clients the capacity to witness thoughts and feelings and body sensations without identifying with them. After travelling around Australia in 2012 with my partner Lee, we returned to Bendigo briefly prior to moving to Canberra where I worked with CatholicCare as a Senior Student and Family Counsellor. During this time I developed my own mindfulness and meditation program for children & parents to address the growing number of referrals. 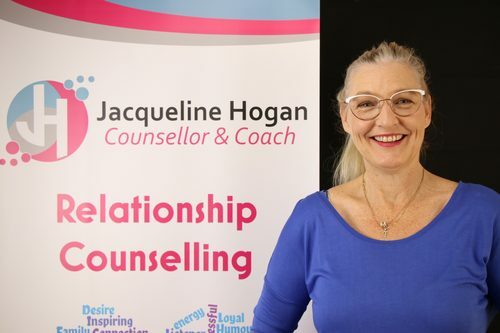 Working with families and achieving great outcomes was rewarding, however, the desire to start my own business was so great, I left my job and moved back to Bendigo where I launched Jacqueline Hogan Counselling and Coaching in 2016. Since then, I have continued my professional development and have completed further training including Gottman Couples Counselling Level 1 and Level 2. Our relationship has gone from a ‘2’ to an ‘8’ out-of 10! I blend three main areas into my counselling and coaching for the greatest benefits to my clients. Firstly I incorporate the traditional, tried and tested theories and frameworks that have stood the test of time, based on years of research and study. Secondly, I bring the latest in neuroscience and mindfulness-meditation based stress reduction strategies to help support clients through discomfort and change. Thirdly, is my unique and superior support. This powerful pillar is included in all of my programs to support you deeply through discomfort and change. The exercises and support in my programs guide you and keep you on track to avoid procrastination and giving up. I combine my passion, life experience and my ongoing education and expertise to develop unique programs that empower you for change & success. 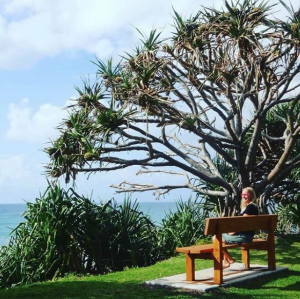 The programs and unique resources, including personalised meditations have proven to be essential for my clients success and ongoing transformation. To learn more give me a call and lets have a chat. If I think I can help you, booking a discovery session is the next step. Before the coaching program I was lost and confused especially in regards to my personal relationships, family, career, future direction etc. I am now excited about the future instead of just letting life pass by. I love the beach, kayaking, and riding my bike and exploring a deeper connection with nature. I’m grateful for an amazing group of neighbourhood friends, and enjoy meeting with new and old friends in Bendigo and beyond. I can see you in person in my private and comfortable counselling room in my home-office in Golden Square, Bendigo; or remotely via video / phone / email. I am an accredited Social Worker with full membership of the Australian Association of Social Workers (AASW). Call Jacqui for a free chat and book your discovery session. Or send an email with your enquiry.